Why Ethical Hacking is Important? Ethical Hacking is the process of penetrating into the system to find out vulnerabilities, threats, etc. In general ethical hacking is mainly performed to improve the security of the network. Normally ethical hackers utilize the same methods by the malicious hackers but the ethical hackers do everything with authorized person’s permission. However, Ethical Hacking is performed to improve the security of the systems from attacks done by malicious users. Ethical hackers utilize their skills and some advanced methods to test organizations’ IT security. An ethical hacker’s also known as black hat hackers and they find security exposures and other issues in insecure system configurations to ensure the overall security of the system. Ethical hackers highly help companies to ensure their IT security measures. With the advanced technology, they improve system effectiveness. After completion of the evaluation of the organizations’ systems, the experts also report back to company leaders based on the vulnerable areas, insecure applications, etc and also provide advice on how to improve security posture to eliminate cyber attacks. Normally entry-level ethical hacker needs to have a bachelor’s degree in computer science. Having security certifications are highly useful because this will provides proper knowledge for the job. Now, most of the companies prefer certified security professionals have a great ability to find better jobs in the IT sector. This training session allows students to understand the finer nuances of Countermeasures, Backdoors, Trojans, etc. SSDN Technologies EC – Council Partner is ready to give you the complete Ethical hacking training suitable for giving complete career opportunity to the maximum. SSDN Technologies is certified members come from world class organizations. You could get the convenient training from the experts in the field. Now anyone can easily take the Ethical hacking training through online by approaching the best Cyber Security institute that will acquaint the applicants with depth skills as well as knowledge. This training allows aspirants to check, test, secure as well as hack their own systems. In addition to this learn advanced concepts with handy involvement in the fundamental security systems. 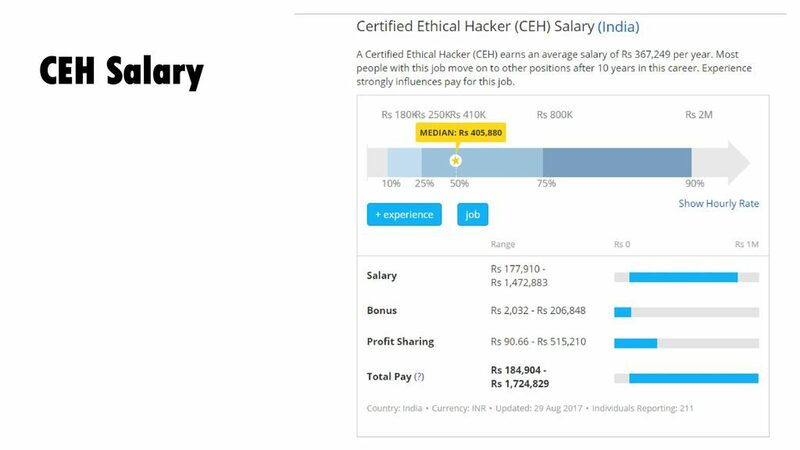 In order to pass in the CEH certification examination, you need to get the official CEH training or you need to take the ethical hacking course in Indiabecause it is one of the most effective ways to learn, build as well as apply your new skills. With the advancing technology, anyone can easily attend online training to receive advanced skills and knowledge. Online training helps you to take the benefits of live online streaming. In addition to this educational track is also available. Ethical Hacking Training is one of the effective choices for those who need to get hands-on experience in the field. Ethical hacking is the popular security domains that completely help aspirants to get in-depth knowledge. Online training is highly important for getting a practical approach that helps to understand the exact ethical hacking meaning in security systems. If you need to study ethical hacking course, then SSDN Technologies is the best choice. It is because it is one of the leading pioneers in the field of training and development. You could pass the Certified Ethical Hacker exam with the fee of about $500. For self-study students, you could pay additional $100 eligibility application fee so it would be $600. It is important to submit a record of 2 years of information security based on the work experience endorsed by employer. CEH exam code is 312-50. The CEH exam consists of 125 multiple-choice questions with 4 hour time limit. Scoring at least 70% mark in the exam is more important. In general, having CEH certification allows anyone to find different job opportunities. Even it is highly useful considering the developing security dangers and threats to computer systems. CEH professionals are highly important for hacker preventive. One can easily eliminate complications created by the hackers by understanding the strategies. Most importantly, ethical hacking course also educates the candidates to know about how malicious attackers consider and utilize different tools which means having proper skills and knowledge allows one to understand the networks, applications, even other assets. Before going to take the course you must do research about the EC-Council Partner that allows you to make a proper decision. Therefore try to utilize CEH training courses through online to get certification, for more info you must take online reviews. Best Ethical Hacking Course form SSDN Technologies in India. It will help you to make a Certified Hacker. I want to Join Ethical hacking course.